Here is a guide on how to start a commercial grape farm. Grapes are widely farmed because of their economic value. They are used to make wine and are fine ornamental plants. To start the business you need serious funding, huge land space and labor. You need to select the species based on your business template. not all grapes are ideal for a commercial grape farm. The fruit should be edible or used to produce many products. The most popular use of grapes is wine making. Cultivars are propagated by cutting and most are hybrids. 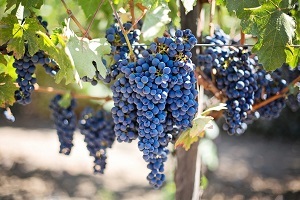 Top producers of grapes are Italy, Tuscany, France, Georgia and Germany. Others are Greece, Portugal, Czeh Repulic, USA, Spain and Ukraine. The list of grapes is huge however we mention a few. We have Zeusz, Zefir,Weldra,liana,Veroga,Verdesse, Verdejo. Others are Vega,Taminga, Sultana, Symphony, Saint-Pierre Dore. More include Roussanne,Roter Veltliner,Romorantin, Riesling, Retagliado Bianco. There is the Petit Meslier,Cinsaut,Chatus Carcajolo Nero,Brunello, Blauer Arbst and Aglianco. The commercial value of great is based on the different uses and health benefits. They are eaten raw, juiced, made into jam, wine and gelatin dessert. Other uses are found in the seed extract an ingredient in vinegar and jelly. They use the grape seed oil, resins, and dealcoholized wine. The business is capital intensive and challenging. to start a commercial grape farm approach an agriculture financing bank for long term low interest loans. You need 1/3rd of startup and an account in the said bank. Other criteria is collateral, guarantors and a business plan. Other funding sources are angel investors, sale of startup equity. The land requirements for a commercial grape farm is huge and you need adequate space. Purchase or lease land in a rural area with suitable soil. There are also zoning requirements, temperature and weather conditions. Incorporate the business as a limited liability company. You need insurance, tax identification number, membership of a farmers’ association. The best time to plant grapes is early spring. The farmer plants dormant bare foot grapes. To support the vine during growth construct an arbor. Use a few self-fertile vines for proper pollination. The first step is to soak the roots in water for a minimum of 2 hours. Select the site with adequate sunlight with well-drained soil. Then dig holes for the vine 12 inch deep 11 to 12 inches wide. Then introduce a topsoil, trim broken roots and set the vine into the hole securely. To achieve good results, space the vines about 9 feet apart. Water once planted and prune the top to 3 buds. The farmer needs to provide adequate care for the plants. It is very important to prevent fruit production for a couple of years. This is to strengthen the root system to support the immense weight of the fruits. Prune annually when the vines are dormant to control spread and before buds swell. The pruning would facilitate a more bountiful harvest in growth season. The canes selects should be strong, prune and leave only 3 buds the first year. Provide adequate support and add additional support the second year. Introduce some fertilizer the second year, use mulch and remove flower clusters. The mulch would maintain the soil moisture. The budding fruits are susceptible to attack from birds so introduce a mesh net. The plant face different pest attacks and diseases. This will affect the yield and could lead to huge losses. Common problems are powdery mildew, black root, aphids and beetles. The best time to harvest the fruits is late summer. Make sure they are ripe before harvesting because the stop ripening once plucked. Look for rich color, plump, easy to crush and juicy. Sample different clusters and taste the fruits. The grapes should be well attached to stems, harvest then store in cellar. Store them in crates and keep separate from other fruits to avoid contamination.